King’s attorney, James W. Simpson Jr., noted that the ruling was specific to drivers at the Patriot Ledger, not a “blanket decision that every newspaper carrier in Massachusetts has got to be an employee.” But Simpson said he is in the midst of a similar employee misclassification case involving drivers at The Standard-Times in New Bedford, also a GateHouse publication, that might have broader implications. 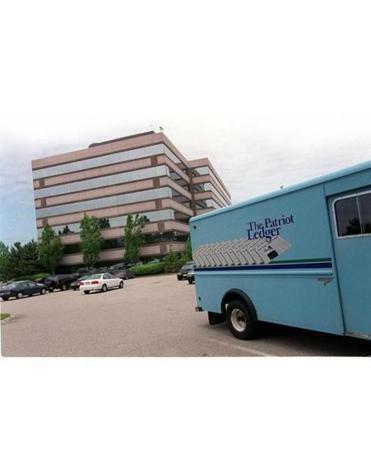 Unlike in the Patriot Ledger case, the Standard-Times complaint involves a federal interstate commerce law that could preempt a portion of the state’s independent contractor law. GateHouse owns hundreds of newspapers and news sites around the country, according to its website, including nine daily and more than 100 weekly publications in Massachusetts. An attorney for GateHouse declined to comment on the ruling, but Robert J. Ambrogi, executive director of the Massachusetts Newspaper Publishers Association, said he was disappointed by the decision, but not surprised given the state’s strict independent contractor laws. “It’s really not even fundamental to what newspapers do anymore,” he added. Even if the ruling in the King case did have broader reach, it wouldn’t have a major impact because so many newspapers outsource their delivery operations, including The Boston Globe. “I don’t know off the top of my head of any that employ their own drivers,” Ambrogi said. But it could have an impact on independent contractor lawsuits that are becoming more common in the gig economy, where businesses hire freelancers and contractors instead of full-time employees to keep costs down. “This is the first explicit appellate decision that we have in Massachusetts that spells out that companies can’t do that,” she said.